Combine two classic side dishes into one flavorful dish perfect for Thanksgiving. I’ve decided to bring back some family traditions on both my side and my husband’s side for the holidays this year. From recipes to activities to gift giving, I want my kids to remember the things we used to do with relatives who are no longer with us and introduce them to some of the traditions from our childhoods. 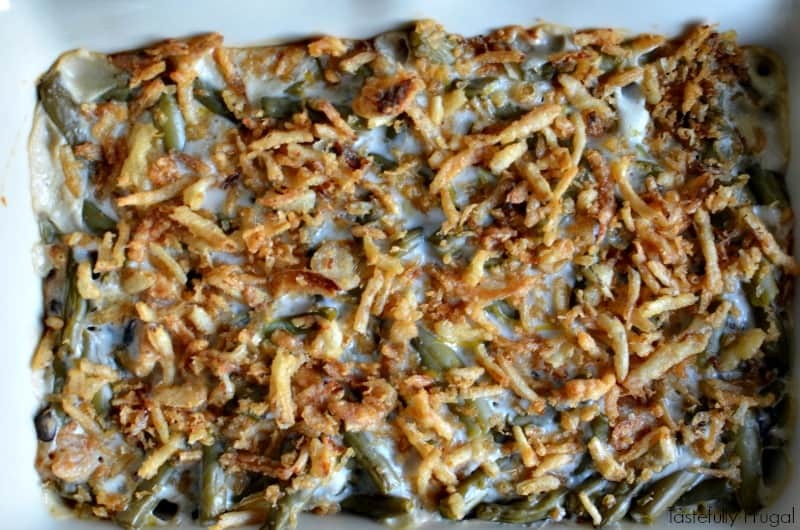 One of those is my husband’s grandma’s green bean casserole. I did a test run of this recipe a few weeks ago and my boys were not fans. I thought it was tasty and still wanted to have it be part of our Thanksgiving dinner so I added their favorite side dish, macaroni and cheese. That did the trick; they loved it! I enjoyed it too, until I was cleaning up and heartburn hit. I’ve never had heartburn in the past until I was pregnant this year. I heard heartburn usually goes away after the baby is born, but mine has decided to stick around. 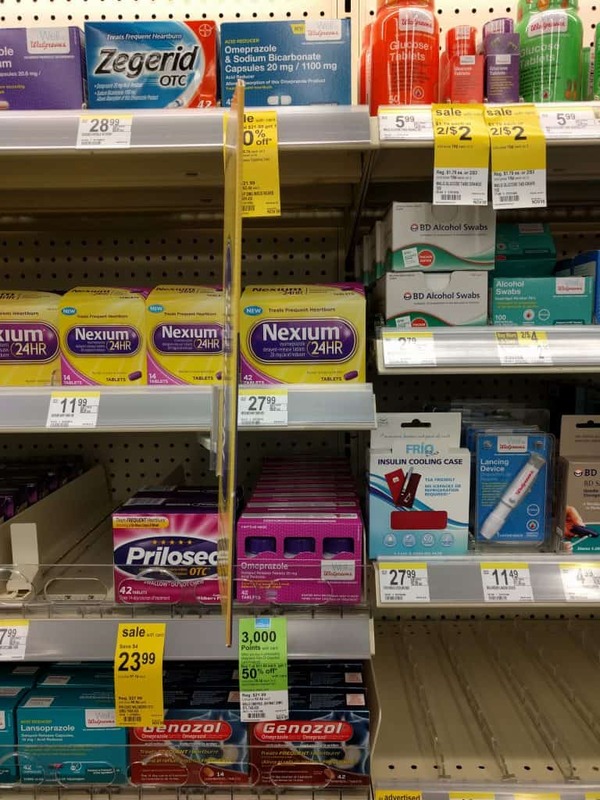 Thankfully my sweet husband picked up a box of Nexium® 24HR 42ct Tablets when he was at Walgreens picking up my prescriptions when our daughter was born. Just one pill a day provides all day, all night protection from frequent heartburn* Nexium® 24HR may take 1-4 days for full effect. It is not immediate relief. Be sure to read the package for usage directions. You can be sure that I’ll be taking this every day so I can enjoy all the goodies this time of the year offers without having to deal with heartburn afterwards. 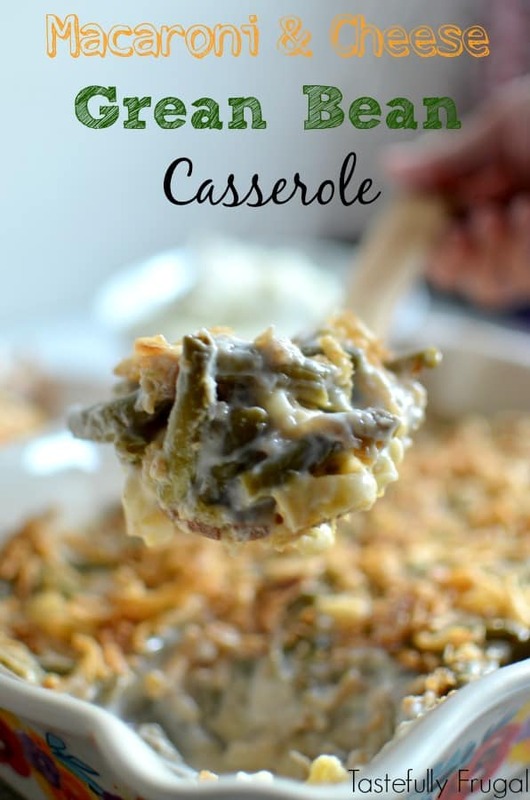 Goodies like this delicious casserole. I love how well the flavor from the cream of mushroom soup blends with the cheese and the macaroni and green beans are great together too. And who doesn’t love crunchy fried onions?! Plus this is so easy to make. From start to finish you are less than 45 minutes (and 30 minutes of that is bake time). So if you’re looking for a Thanksgiving side everyone will love, including picky eaters, this is your dish! Cook macaroni noodles and drain. In a large bowl combine green beans, cream of mushroom soup, milk and soy sauce. Stir in 1/2 cup of fried onions. Season with salt and pepper. 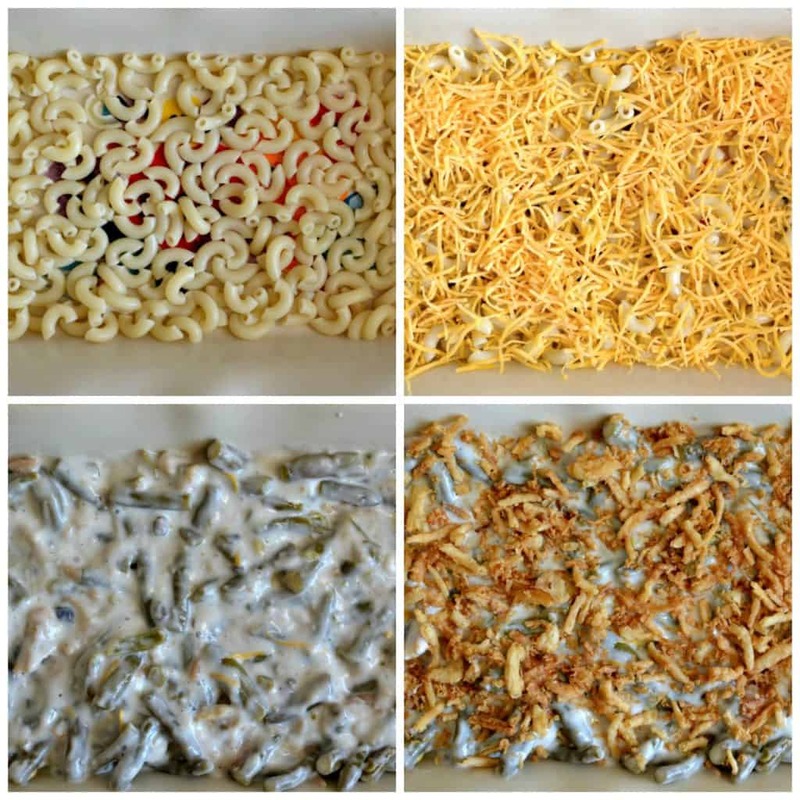 Layer macaroni in bottom of a greased casserole dish. Pour green bean mix on top of cheese. Top with remaining fried onions. Bake for 30 minutes or until sauce is bubbly. What is your favorite side dish for Thanksgiving? 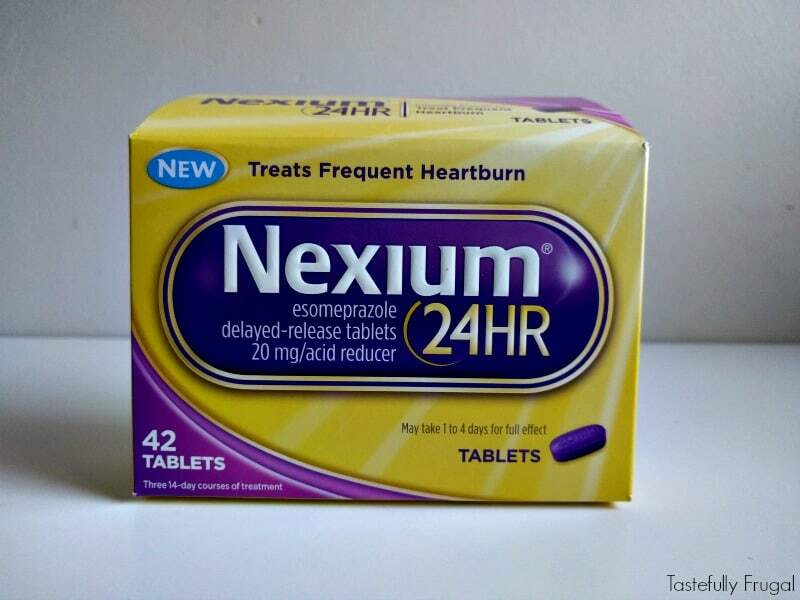 Nexium® 24HR wants to help make sure your frequent heartburn is under control this holiday season. Make sure to check your local Walgreens starting 11/13/16 for $5 off 24 and 42 count Nexium® 24HR. Click here for more details and to learn how Nexium® 24HR can help you deal with frequent heartburn. Nexium® 24HR may take 1-4 days for full effect. Use as directed. As a passionate lover of casserole, I will have to prepare your mouth-watering recipe. Is there any alternative to the soy sauce?